Sound off, V-Sport owners! Good or bad. Good afternoon, all. 1st post for me, as I am not a current owner, but a potential one. 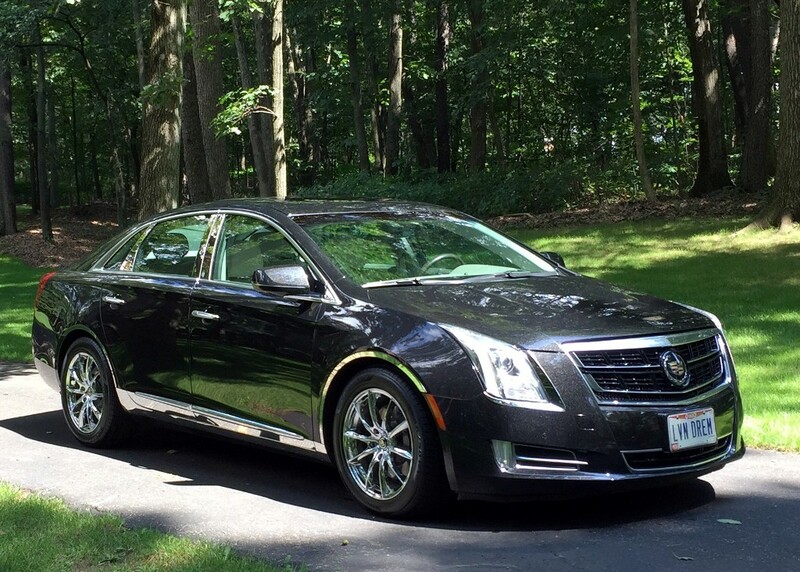 I'd like to hear from the XTS V-Sport owners (Platinum or Premium), and if you are satisfied with your purchase. I have read some concerning posts on this forum regarding the ease of bent wheels and interior squeaks and rattles. I like many things about this rig, and it seemed to be a great candidate to replace my current vehicle that will soon be turned over to my 15 year old son, but I don't want something that I can't depend on. Love to hear from real-world experienced owners who can chime in and let me know if there's any regrets. RedCadi and 87natty like this. Re: Sound off, V-Sport owners! Good or bad. Thanks for the response.... I'm well aware of the residual value, hence, I am looking at a 2014-2016 as these are less than half the original cost... sometimes less than 1/3rd! Glad to hear you like yours... hope to hear others say the same! Very nice. I own a 2016 Vsport Platinum, and do enjoy the car. The few issues were the adaptive cruise control which occasionally drops off. (disconcerting when a big rig is bearing down on you from the rear). I've had a blind side alert sensor replaced (under warranty). My CUE seems to be working fine. In regards to the 20 inch wheels; I have to concur with various complaints. The rims themselves are showing signs of corrosion. I suspect that the bi-metal nature is the culprit. Also, the ride is less than plush. Certainly not the Cadillac ride of old. I would certainly like to downsize to 19 inch for a smoother ride. (don't know anyone who went to 18 inch, tho it looks good in the pix). The best part of the car is the twin turbos. I don't think that I could settle for the regular 3.6. In my opinion, the magnetic suspension is an overblown feature. It doesn't seem to do much for me. In fact, (dare I say it? ), my wife's Cruze seems to be able to handle better in curves than my XTS. (at least by my seat of the pants observation). Yes, the depreciation is terrible. What luxury car buyer doesn't know this going in? My wife says this is my last Cadillac. (I've had two DTS's prior). This may have a Cadillac on the nameplate, but for those of us of a certain age, this doesn't have the prestige of Cadillacs of old. Of course there is a lot more fine competition out there now than there was 50 years ago. Is this thing worth 30-40 grand more than an Impala? Probably not. But then some of us have the vanity to want the name Cadillac on our lips when asked what we drive. You definitely have more tire on the road. I tried the Pirelli Cinturato P7 A/S Plus on my 20" wheels but the tires did not fit up to the wheels well and also seemed not to hold tire pressure as well as the OEM Bridgestone's so I had the Bridgestone's put back on. With the Pirelli there was a larger gap between the rim and side wall of the tire. It just looked like the tire did not fit. The tire dealer said this was not a problem but I just did not care for the look. I too am not a fan of my 20" wheels nor the OEM Bridgestone Potenza RE97 A/S Tires 245-40-20V but I am getting use to them. I tried the Pirelli Cinturato P7 Plus but they did not work out so I had the OEM Bridgestone's put back on. I too was looking at going with a OEM 19" wheels 245-45-19V tire but the tire dealer said for what little difference I would see the cost associated with such a change in his opinion would not be worth it and I pretty much agree. Because my car is equipped with MRC, Cadillac also advised against the wheel change. I think the Michelin Premier A/S will be the answer for me and I am just waiting and hoping that Michelin will release this tire in the size that I need. I have no desire to go with a UHP and prefer to stay with a Grand Touring Tire. Good Year makes the Good Year Eagle Touring in the 245-40-20W but the W Speed rating will make for a slightly firmer ride. I did take the OEM 20" wheels that came with my car off and purchased the OEM 20" wheels that come with the Platinum Trim and find them to be a much better looking wheel. Thanks for the info, everyone! When I test drove a 2014 Platinum V-sport, I did notice a little more road noise on the highway than I had expected. That is probably a combination of an otherwise hushed interior (almost no wind noise was present), and the fact that the car was wearing the Potenza's, which, as I understand are notoriously noisy. I liked the car, otherwise. I will be driving a 2017 MKZ 3.0tt AWD this weekend and I'm anxious to see how they compare. The MKS is certainly better sized to compete with the XTS, but I'm not a fan of the styling or gauge cluster on the MKS. Trivial, I know... but as an owner, the most often seen part of your car is the gauge cluster, and the MKS's is terrible. My initial assumption, is that the MKZ will be a little too small as I'm not a tiny fella. But, if I can get my 6'1" 240lb frame comfortable in that car, it might be a player. The XTS was very comfortable to me. MHT, does this mean you have a V-sport Premium and you removed the wheels to swap with the Platinum wheels? How is the brake clearance with the 18" wheels? I was under the impression that the big Brembo's required a 20" wheel. Clearly not. swap with the Platinum wheels? Platinum, neither of these cars are V Sport. As a matter of fact with the 2019’s I have only seen the V Sport as being referred to as a V Sport and nothing more. I tried to soften the ride by deflating tires to 30 lbs, but my TPMS went nuts, so I had to re-inflate. Not sure what tires to get when it will be time for replacements. TPMS are set to 75% of recommended ptessure,which isv36.so alert shouldn't come on till 27,so something is awry with your TPMS. Bad Slave, Bad Clutch, or Bad Transmission?